It's been two days since the U.S. Army Corps of Engineers opened up the Morganza Spillway in northern Louisiana to mitigate the threat of historic flooding in New Orleans and Baton Rouge. 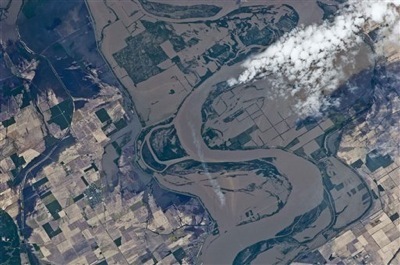 The event marked just the second time in history that the floodgates were opened, a reflection of the severity of the situation in the Mississippi River basin. 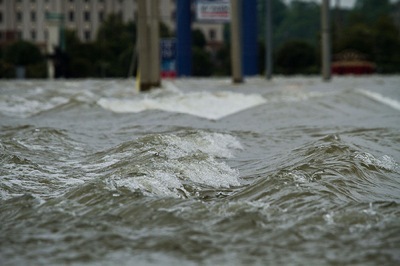 For now, it appears as if Louisiana's major cities are safe, as water levels remain stable. 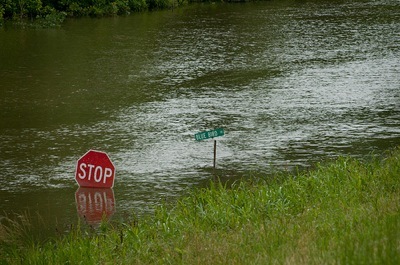 But tens of thousands living in rural portions of the state -- specifically the Atchafalaya River basin, into which the Morganza Spillway empties -- have been forced to evacuate their homes. We've collected a series of dramatic photos and videos to help you visualize the situation along the mighty Mississippi. CNN has gripping video of water pouring through the Morganza Spillway. 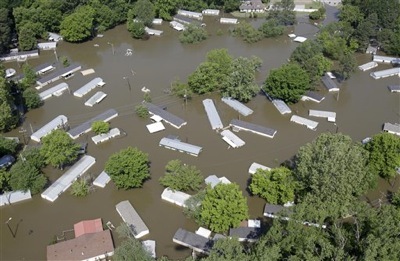 ABC's "Nightline" surveys the damage from flooding on the Mississippi River basin. 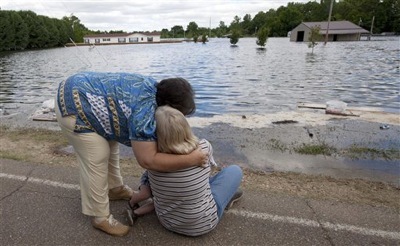 A mother comforts her daughter as they both watch floodwaters rise around their home in Vicksburg, Miss., Monday. Floodwaters rise and inundate Tunica Cutoff, Miss. The entire population of Tunica Cutout was relocated to a safe area behind a nearby levee. 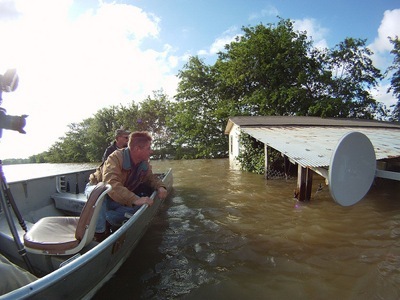 Joe Hidgon, a Tennessee local, floats by his property, submerged under nearly a dozen feet of water. 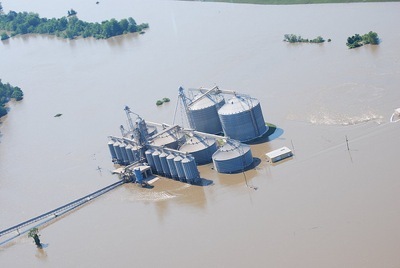 Grain silos in Louisiana have been shut down until flooding passes. 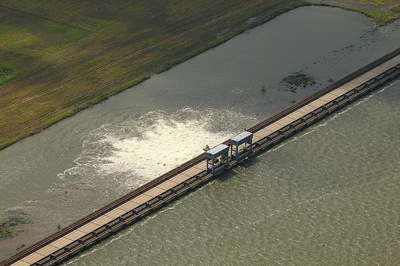 The U.S. Army Corps of Engineers opens up the Morganza Spillway for the first time in four decades to mitigate the effects of flooding on Baton Rouge and New Orleans. 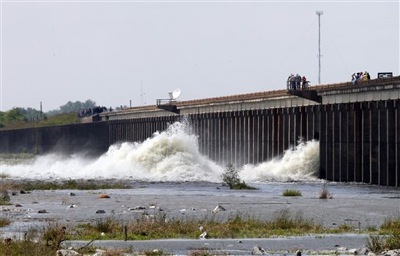 Water diverted from the Mississippi River spills through a bay in the Morganza Spillway. 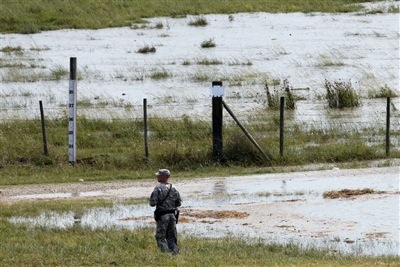 A member of the Louisiana National Guard stands in the water nearby the Morganza Spillway. 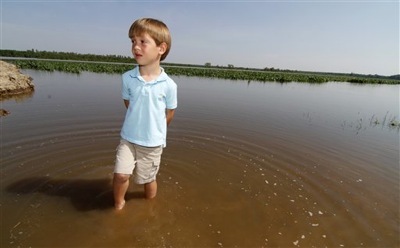 Four-year-old Seth Robinson stands in the middle of flooding that has submerged his father's corn crops in Yazoo City, Miss. 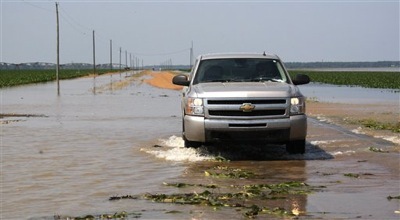 A Mississippi resident drives on a flooded road north of Yazoo City. 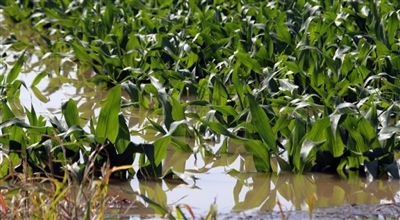 Three-foot-tall corn stalks in Yazoo City sit almost entirely below water. A partially submerged building in Vicksburg, Miss., one of the cities hardest hit by this month's flooding. 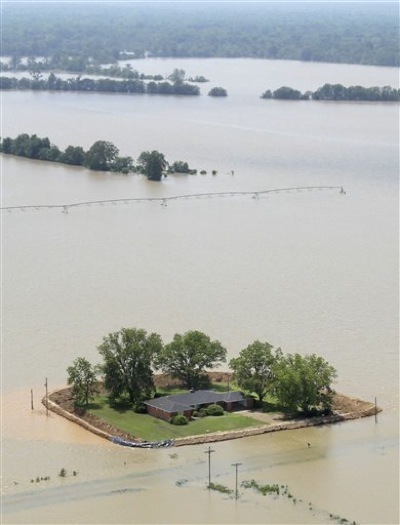 Arkansas residents shield their property from the White River's rising tide by building makeshift levees. 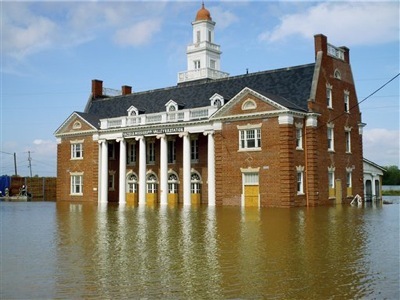 Entire communities -- such as the above section of houses in Memphis, Tenn. -- have been inundated with floodwater. The Mississippi River, as seen earlier this month from aboard the International Space Station.